Today I am joined by former School of Laughs students and full time comedians Jonnie W. and Brian Bates. Over some tasty BBQ we discuss the recent happenings in the world of comedy. Specifically, Michelle Wolfe and the White House Correspondents Dinner, Netflix Comedy Specials and the passing of a fellow comedian. THIS EPISODE IS SPONSORED BY PATREON SUPPORTER NEIL RITTLE AND THE CLEAN COMEDY CHALLENGE. You would think that an occupation such as comedy would be relatively stress-free. After all, it’s all about the laughs, right? Well, sort of yes and sort of no. You see every joke has a target. I could be the traffic, the drivers, the car or the police. Sometimes, the comedian hits on a target and the reaction is bigger than the joke. Or, even an unintended response from a misinterpreted punch line. Other times, the comedian is challenged for not being “sensitive” or “politically correct” with their material. Despite freedom of speech, as comedian is not free form judgement. In today’s world, we are quick to celebrate the mistakes of others. Comedy is no different. It makes it hard for the comedian to do their job when every word is picked apart and mass distributed over a network of trigger-happy-texters and social media rabble-rousers. What is a comic to do? The three of us share our takes on Michelle Wolfe and the 2018 White House Correspondents Dinner roast. The good, bad and ugly as well as the reaction, opportunity and results. Also on the agenda is a quick discussion about the proliferation of NETFLIX comedy specials. Is having so many specials good or bad for the comedy marketplace? Are great comedians putting out subpar specials just to grab a handful of cash? Am I only mad because I don’t have a NETFLIX special? And, finally, we talk about the long-lasting feeling of connection to other comedians. When one of our own passes away, we feel like we just saw them yesterday. But, we may not have worked with or talked to them in over a decade. What is it about the brotherhood and sisterhood of comedy that connects us? All of this and more in this episode of the Rik Roberts School of Laughs! 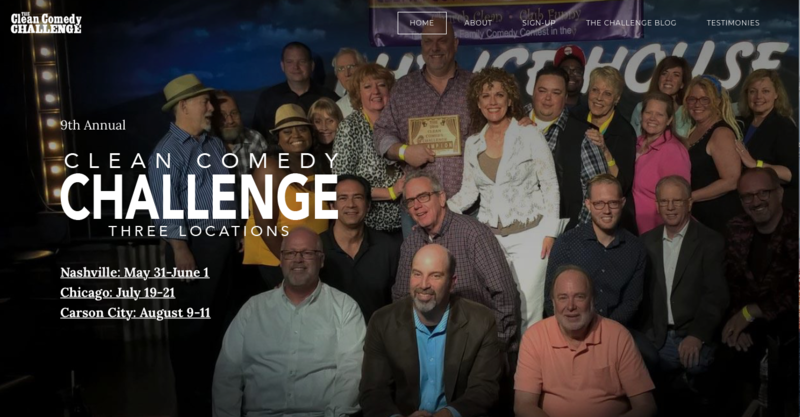 We are sponsored today by the Clean Comedy Challenge (www.CleanComedyChallenge.com) and Patreon supporter Neil Rittle. Visit PATREON to learn how you can support the podcast through a small, recurring monthly donation.